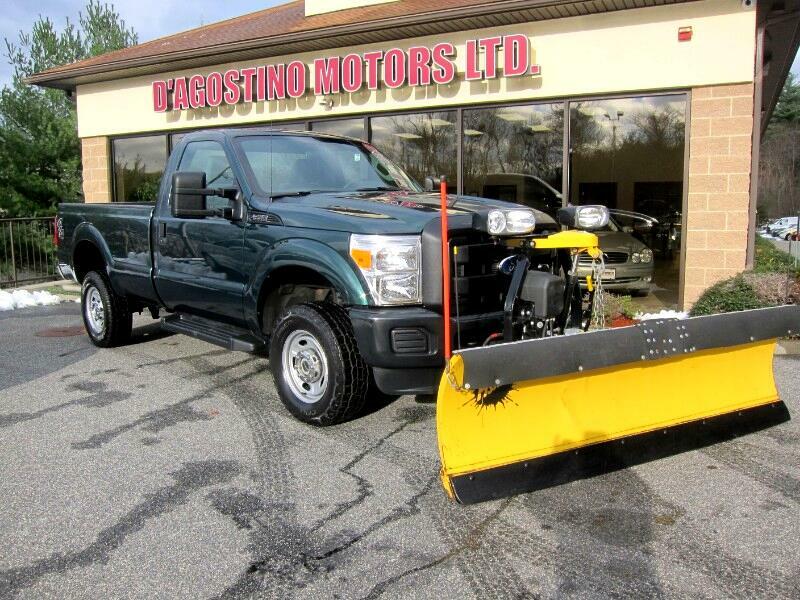 Used 2011 Ford F-350 SD XL 4WD for Sale in Smithfield RI 02917 D'Agostino Motors Ltd.
JUST ARRIVED !!! CLEAN CARFAX !!! 2 OWNER !!! JUST IN TIME !!! IF YOU NEED A WORKHORSE THAN THIS IS IT !!! CALL NOW BECAUSE THIS ONE IS GOING TO GO FAST !!! THE SNOW HAS ALREADY STARTING FLYING !!! THIS F 350 HAS ONLY 12,000 MILES ON IT !!! ALL SERVICED AND READY TO GO !! BRAND NEW TIRES !!! 8' FISHER MINUTE MOUNT HD PLOW !!! FLEET FLEX SYSTEM !!! BEDLINER !!! SIDE STEPS !!! TOW PACKAGE !!! ELECTRONIC CONTROLS FOR A SANDER SETUP !!! Come Experience the D'Agostino Difference! We Go Through our Vehicles with a Fine Tooth Comb from All Mechanical Aspects to an Extensive Reconditioning and Detailing Process, Expect to View the Cleanest Vehicles in New England Guaranteed !! !